Beth H. Mitchell is a partner in Nutter’s Real Estate Department and co-chair of the Commercial and Real Estate Finance practice group. She has extensive experience in commercial real estate transactions locally, regionally and nationally, and through economic booms and recessions. Financial institutions, investors, developers and other public and private entities rely on Beth to handle their financings, acquisitions, dispositions, leases, joint ventures, foreclosures and troubled debt restructurings. Beth’s practice encompasses, among other things, downtown office buildings, suburban office parks, mixed-use developments, hotels, health care institutions, retail complexes, industrial properties and not-for-profit uses. Representation of an insurance company on multiple large portfolio loans, totaling $550 million and secured by industrial properties located throughout the United States, including the sale of a portion of the debt to a third party investor. Representation of a consortium of banks and insurance companies on approximately $345 million of construction/permanent financings for mixed-use residential and retail projects within commercial condominiums in the Fenway neighborhood of Boston, Massachusetts. Representation of various insurance companies on financings of offices, laboratories, apartment buildings and hotels on long-term ground leases in Cambridge, Massachusetts. Representation of an insurance company on approximately $135 million of mortgage loan financings secured by multi-family and office properties in Chicago, Illinois. Representation of an insurance company on the mortgage loan financing of a resort in Sedona, Arizona, and the subsequent loan assumption and modification in connection with the borrower’s sale of the resort. Representation of a real estate developer on the construction loan financing of a hotel within an overall $230 million mixed-use development structured as multiple ground lease parcels in Boston, Massachusetts. Representation of a non-profit institution on the joint venture, ground lease and financing of an affordable housing development with a preference for veterans in Boston, Massachusetts. Representation of non-profit institutions in the sale of various ground lease parcels in Boston, Massachusetts, including for the development of affordable housing projects. Representation of the seller of the iconic Apple Store on Boylston Street in Boston, Massachusetts. Representation of a global hospitality and food service company in the acquisition of a resort hotel on Cape Cod, Massachusetts. Representation of a real estate company in the acquisition of a multi-family property in Peabody, Massachusetts. Representation of landlords in commercial lease transactions, including ground leases, for properties in Massachusetts. Representation of a global company, as Massachusetts local counsel, on the leasing and permitting of a food and entertainment venue in Boston, Massachusetts. Representation of several banks, as tenants, in leasing bank branches and offices in Massachusetts, Florida and California. Representation of a borrower/developer in a joint venture with an institutional investor and the construction/permanent financing regarding the development of the former Spags site in Shrewsbury, Massachusetts. Representation of a borrower/developer in a joint venture with a preferred equity investor and the construction loan financing for a residential condominium project along the Rose Kennedy Greenway in Boston, Massachusetts. Representation of a real estate investor/developer on joint venture agreements and real estate investments in commercial development projects (including hotels) in Massachusetts and New Hampshire. Representation of a real estate investment company on joint venture agreements and investments in projects (including student housing) in California, Montana and North Carolina. Representation of lenders and special servicers in various troubled debt restructurings and foreclosures involving commercial real estate properties throughout the United States. Representation of one lender in a consortium of senior lenders in connection with a defaulted loan secured by a senior housing project, subject also to a defaulted mezzanine loan, resulting in the eventual sale of the loan to a third party. Representation of a real estate developer in the creation of a reciprocal easement agreement among various ground lease parcels for the development of a mixed-use residential, garage and hotel development in the Seaport district of Boston, Massachusetts. Representation of a redevelopment authority in the acquisition of a former military base from the United States Navy pursuant to the Base Redevelopment and Closure (BRAC) process, the creation of a new form-based zoning by-law for the former base, the negotiation of a disposition and development agreement with a private developer, the transfer of portions of the former base to the developer and the issuance of various permits and approvals for the redevelopment of portions of the former base. Beth is a fellow of the American College of Real Estate Lawyers (ACREL), the past Chair of its Programs Committee and a member of its Board of Governors. She is also a fellow of the American College of Mortgage Attorneys (ACMA), the Treasurer of ACMA and a member of its Executive Committee. 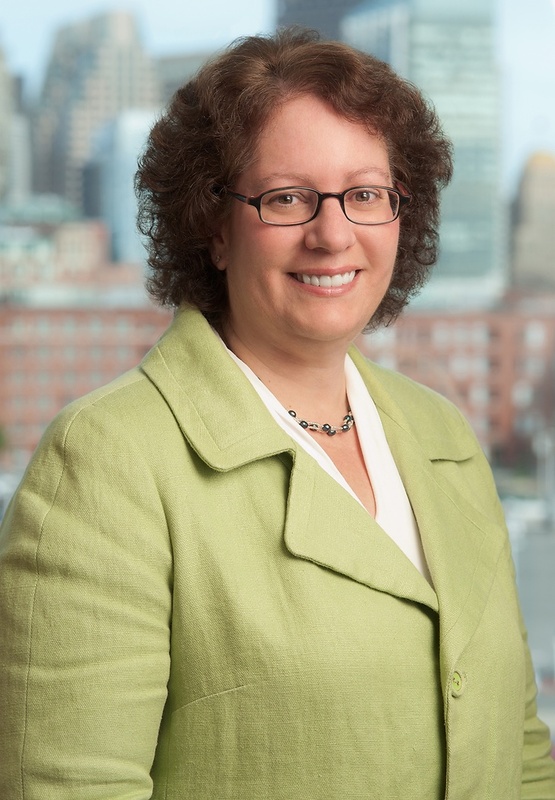 Beth is a past president of the Real Estate Finance Association (REFA), a division of the Greater Boston Real Estate Board. Beth is a member of the Boston Bar Association, a former member of the Real Estate and Environmental Law Curriculum Advisory Committee of Massachusetts Continuing Legal Education, Inc. (MCLE), the past Clerk of the Real Estate Bar Association, where she previously served as co-chair of its Commercial Real Estate Finance Committee, and a member of The Abstract Club. Beth is a contributing author to Crocker’s Notes on Common Forms, published by MCLE, and the Massachusetts Conveyancers’ Handbook with Forms. She also frequently writes and lectures on real estate topics. Beth Mitchell published "Enforceability of prepayment premiums in Mass." Beth is currently serving as an officer of the American College of Mortgage Attorneys (ACMA) and is a member of the Board of Governors of ACREL.